Designers are exposed to a good number of tools aimed at helping them to accomplish their tasks hassle-free and confidently. The de facto design tools such as Photoshop, Illustrator, and Adobe have carved their spots in the creative world despite the increasing void of effective design tools for professional work performance. And this is where Sketch comes in. Why is Sketch App So Popular? Despite its limitation in use to Mac users, overlooking Linux and Windows users, the Sketch app is a favorite among designers. This may be attributed to several reasons. For Sketch, UI was a key consideration, not an afterthought. The Sketch app, unlike Photoshop and Illustrator, was made with UI designers in mind—right from the word go. The latter is considered too full for most users with most of them forced to sacrifice agility when working with UI graphics. Another key impediment is that updates that could evolve the design of the traditional toolset are rarely released. Thanks to the Sketch app, this need is sorted out. So today, most designers are considering Sketch over Photoshop and Illustrator. The Sketch app doubles up as a web graphics tool as well as a UI. Despite its limited functionalities compared to Photoshop, Sketch has a simplified GUI that makes its work performance more professional and the interface easier to use for designers. Most designers find it strenuous to convert CSS drop shadows from Photoshop drop shadows. The Sketch app, on the other hand, makes it easy for designers to get the job done without struggle since it has embraced CSS logic in its functioning. Its creators, the Bohemian Coding, can be lauded for this given that although Sketch has not been around for as long as the likes of Adobe, their app development effort is impeccable. 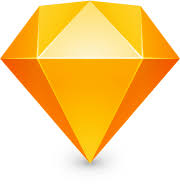 Mac users who know exactly what they need from their design toolset find Sketch extremely useful. The app has a dedicated niche of users interested in a tool that can help them out with web graphics and UI. It doesn’t do as much as Photoshop or Illustrator; therefore, users who seek more should definitely look elsewhere. Since its release in 2014, Sketch has exhibited significant updates, introducing symbols in the process. Further updates in the subsequent years has incorporated artboard presets, sharing capabilities, a fused file format, and improved performance. Given the rate at which the Sketch app is gaining momentum and growing in popularity among designers, its future is steady. But will it maintain this winning run? It is bloat-free and there’s no reason suggesting anything contrary. However, there are several factors that might limit its growth in the long run. For starters its suitability is tailored towards individual designers, making it difficult to integrate in distributed teams seeking to design existing workflows for platforms other than iOS. Another impediment is the instability that often costs the performance of the app. It takes a couple of patches for the performance issues to be addressed with every major release. Most designers attribute this flaw to the high speed at which the app was developed, which led to poor quality and instability. An example is the Sketch Mirror, which despite being infested with a bug that caused bandwidth usage to rise steeply, took as many as four major releases before it was actually fixed. Further, by the time version 42 was released, another issue cropped up. Each time a user made copies of its illustrations, the symbols could appear in duplicate. It has taken several major releases for this issue to be addressed, a problem that still lingers, especially in files created in older versions. Despite all these, the above limitations are not deal-breakers per se as the app developers are working round the clock to remedy the situation and ensure top quality apps with every new release. And after all, Sketch seems to be the first among its equals given its power and flexibility. Additionally, the app offers a thriving plugin scene mostly for free through its new open file format. More so, with the third-party applications offering steadily growing support, the foreseeable future is steady for Sketch. It’s quite difficult to define the Sketch app as either PSD or an in-browser design, although PSDs are the “in thing” currently. However, Sketch can easily become the primary tool in design despite not being as powerful or sophisticated as Photoshop and Illustrator respectively. It is a fantastic addition to your design toolset given its robust prototyping abilities though it falls short when it comes to serious-minded designs. Besides, the superiority of other design tools is unquestionable and Sketch still has a lot to do to measure up. To make further inroads in the creative field, Sketch ought to uphold and boost even further its ability to operate on a bloat-free mode and focus on interface agility. Projecting itself as a suitable alternative in a designer’s toolkit and showcasing its competitive pricing will go a long way in the success of the Sketch. The developers don’t need to advance the app as an alternative to design arsenals offered by Adobe but rather as a necessary addition. The app is inexpensively priced at $99, and it is one of the best tools a designer should add to his or her design toolkit for competitive web and UI/UX designs. 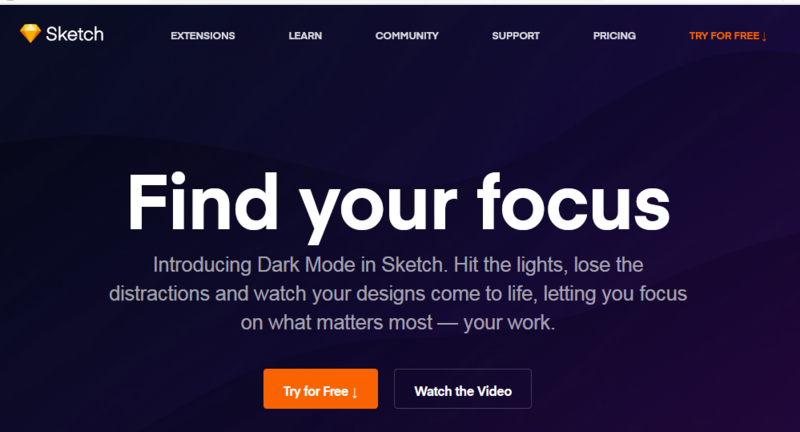 In addition to the Adobe Creative Suites, Sketch will help you to find the right balance between the needs of a client, usability, and an aesthetic design. For designers seeking quality work, increased speed and innovation, Sketch will completely transform your workflow. The app is centered towards a variety of steps in the design process which makes it the go-to design tool for any UI/UX designer. For the forward-thinking designers; therefore, the future of UI/UX is in Sketch-ing!